When Bonobos’ founder Andy Dunn launched his online menswear business in 2007, he pronounced bricks-and-mortar stores officially dead. Within five years of predicting that retail real estate trend, Bonobos was offline as well as online with a unique take on bricks-and-mortar – Guideshops – plus branded boutiques in select Nordstrom stores. Other big e-commerce names like Warby Parker, Piperlime, Birchbox, Proper Cloth and even Etsy and eBay are now dabbling in the concept of offline venues. The Los Angeles Times recently reported on the debuts of on-the-ground boutiques by some of the hippest names in online-only retailing. Among these are Nasty Gal, now in the Southland Mall in Hayward, Calif., and JustFab in the Glendale Galleria. Former exclusive onliners say the major drivers of this “reverse evolution” are their need to build brand awareness and the shopper’s need for a tactile impression of merchandise, something that can’t be duplicated online (at least not yet). Shopping is a social experience, especially among the coveted millennial demographic, they acknowledge, and a physical venue provides just that. And shoppers want to try before they buy –something that even the onliner’s promise of “free shipping both ways” can’t seem to overcome. Clicks-to-bricks also delivers a positive financial impact. Dunn of Bonobos says that he cut his online marketing costs in half through his Guideshops and that the average in-store transaction ($360) was close to double that of Bonobos’ average online sale. Bricks-and-mortar descendants of e-commerce sites are anything but traditional stores and more hybrids of offline and online. This retail real estate trend is producing smaller “showroom” style shops (sometimes as small as 800 sq. ft.) with shallow, sample-based inventory. In-store purchases are often made via the retailer’s website to be delivered within 24 hours (for the almost-instant gratification consumers crave). Both sales associates and shoppers in these hybrids have access to multiple computers to browse additional options and features and place orders. Typically, the showroom stores closely reflect the branding of the retailer’s website – The Gap’s Piperlime, a fashion site featured on “Project Runway,” decks out its flagship SoHo showroom in the color palette and graphics of its website. What’s Next for the Click-to-Mortar Retail Real Estate Trend? Traditional retailers continue to strive for online success. E-commerce pioneers seek a footprint in the real world. What’s next? Will we see more online retailers launching not only in trendy neighborhoods like SoHo and LaBrea but in malls as well? One thing we can count on, it’s not going to be business as usual. What are your observations about this trend? Please share them with us below. 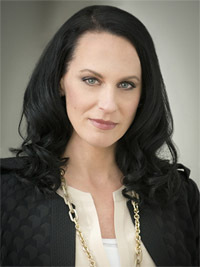 Melissa joined Levin’s marketing department in 2010 and was promoted three times in less than three years to her current management position as Assistant Vice President of Marketing. With a strong background in graphic design and marketing, she heads the company’s corporate branding efforts, implements promotional campaigns for select client properties, and supports the firm’s leasing team in marketing vacancies within the company’s shopping center portfolio. 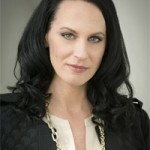 Her current “big picture” goal centers on helping Levin leverage opportunities resulting from the rapid evolution of online marketing and the increasing technological savvy of the commercial real estate community – to project an image that marries the firm’s rich traditions with its modern approach to doing business. Starbucks Evenings: A New Day in Coffee Shops?